Personally I don’t think this is enough information, and I like to figure out why they want to lose that weight. Is it to look better in a bikini/shorts? Is it to fit the jeans from 5 years ago? Concentrating on such a ‘fluffy’ goal also doesn’t encourage good habits. Yo-yo dieting or excess calorie restriction become very tempting, and those are hard to maintain and often result in all or more weight coming back on when the diet is “finished”. My friend, Dave Soucy, recommends learning healthy eating habits first and then tweaking them if necessary to lose weight. I couldn’t agree more. Only the first one is sensible in my opinion for a few reasons. First it encourages the loss of body fat while retaining lean mass. Secondly it is sustainable – it becomes a way of life rather than a quick fix for summer. Thirdly the body composition ends up looking a lot better. 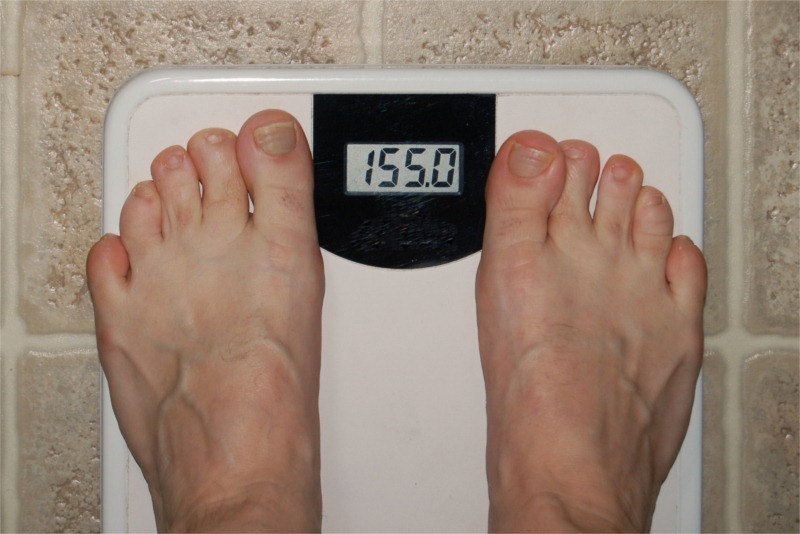 So the biggest problem I have with “weight loss” purely in terms of the pounds/kilos is it doesn’t take body composition into account – particularly with many of the techniques people use to achieve the goals. As an example why the number of the scale is not important, lets say you are 140lbs with 22% body fat. That puts your lean body mass at 109.2lbs. If you go on a calorie restriction diet you might drop 10lbs, but your body fat might likely still be around the same level, lets say 20%. This puts your lean body mass at 104lbs, and also reduces your metabolism. If instead you eat cleanly and do resistance training, you might actually only drop 5lbs physically but your body fat might fall to 14%. Your lean body mass actually went UP to 116lbs. Put another way, before you carried around 31lbs of body fat. Using calorie restriction you might drop this to 26lbs of body fat. Using healthy eating and strength training dropped your body fat to 19lbs EVEN THOUGH YOU WEIGH MORE!!! Which looks better? 130lbs of which 26 is fat, or 135lbs of which 19 is fat? If you still aren’t sure this article shows what body fat percentages look like on real bodies. Monitor body fat levels as well as weight. Aim to keep lean body mass the same (or more) while dropping body fat. Body fat monitors are cheap. 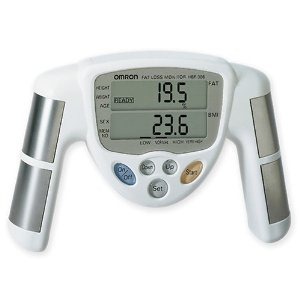 I have this one by Omron (cheap at $30) and it is fairly accurate but more importantly it is consistent. Also don’t weigh or monitor yourself too often – if you see a natural value spike it psychologically makes you panic and try something stupid to fix it. Instead go for the long haul and only monitor your progress once a week or less. By focusing on the real goal that you want to achieve you will get better results and you’ll know why and how you got them.